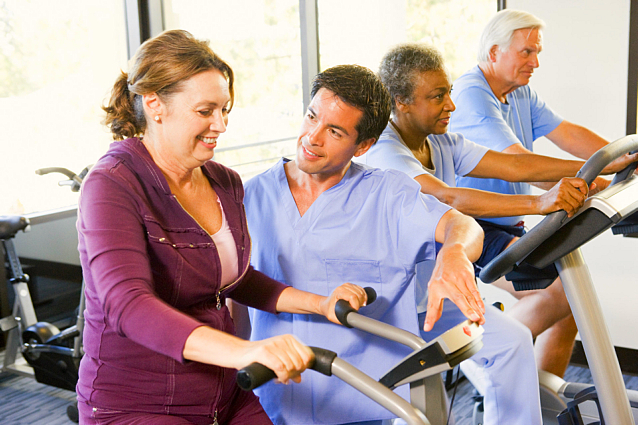 Exercise is something that can help improve your health no matter how old you are. It is a great way for senior citizens to regain their youth. However, elderly individuals may have a challenging time with the more physically intensive exercise regimes that are available nowadays. Thankfully, there are still other physical activities that senior citizens are able to do in order to improve their health. And with our support, at Ontime Home Health Care Staffing Agency LLC which offers Personal Care Services in Cleveland, Ohio, we can provide the assistance you need to exercise safely. Walking: When it comes down to exercising, walking is as basic as it gets. However, even though walking is basic and simple, it can still provide amazing results and help build up your strength and energy so you can do more effective workouts. This is perfect for seniors who have not exercised in years or is not used to exercise, as it is a gentle and easy way to get your body where it needs to be. Jogging: Jogging is another basic and common exercise that most seniors can do. It is more challenging than walking but the benefits are far greater. If you feel up to it, this is a great way to enhance your health today. However, it is a good idea to take it easy and slowly build up your strength. Overwhelming yourself or doing too much can drain you physically and drain your motivation. Cycling: Cycling is a bit easier compared to jogging but a lot more fun. The benefits and the effects are the same as jogging, but this gives you the ability to go out and go farther so you can simply enjoy your local area more. If you are looking for something that provides an adventure, cycling is most definitely the way to go. Exercise is so important if you want to live a longer and better life at home. So, allow us to provide you with the Home Health Care you need by visiting our website www.ontimehhcsa.com today. You will be surprised by just how much younger exercise will make you feel! This entry was posted in Health Care and tagged Diet, Energy, Exercise, Health, Home Health, Lifestyle, Prevention, Seniors. Bookmark the permalink.